Magnetic Knife Holder Storage Strip 15 In. Just $9.49! Ships FREE! You are here: Home / Great Deals / Magnetic Knife Holder Storage Strip 15 In. Just $9.49! Ships FREE! FREE up you valuable counter space! 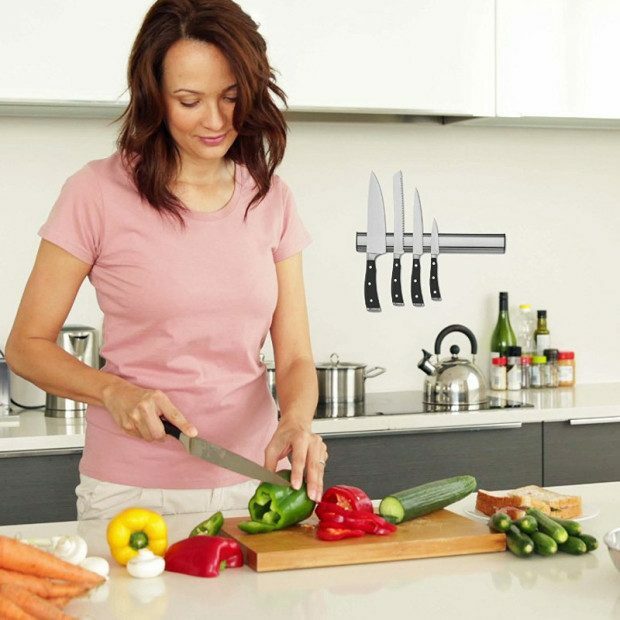 Order the Magnetic Knife Holder Storage Strip 15 In. for Just $9.49! Shipping is FREE! Stores knives and other metallic utensils within reach with magnetic attraction; safer for chefs and knives alike Use this magnetic holder in the kitchen, office, laundry room or garage to hold any metal objects! Click here to check out more Great Deals!